A 58 year old male with a history of pica presented to the emergency room complaining of bilious, non-bloody emesis associated with right upper quadrant pain, fatigue, decreased oral intake, and fevers. Initial labs revealed a lactate of 7.4, a white blood cell count of 22K, alkaline phosphatase 456, AST 373, ALT 444, total bilirubin 5.8, and a troponin of 3.4. Imaging showed a distended, gangrenous gallbladder with compression of the biliary system. Aerobic and anaerobic blood cultures were drawn and the anaerobic culture flagged positive at 20 hours with the following gram stain and colony morphology. 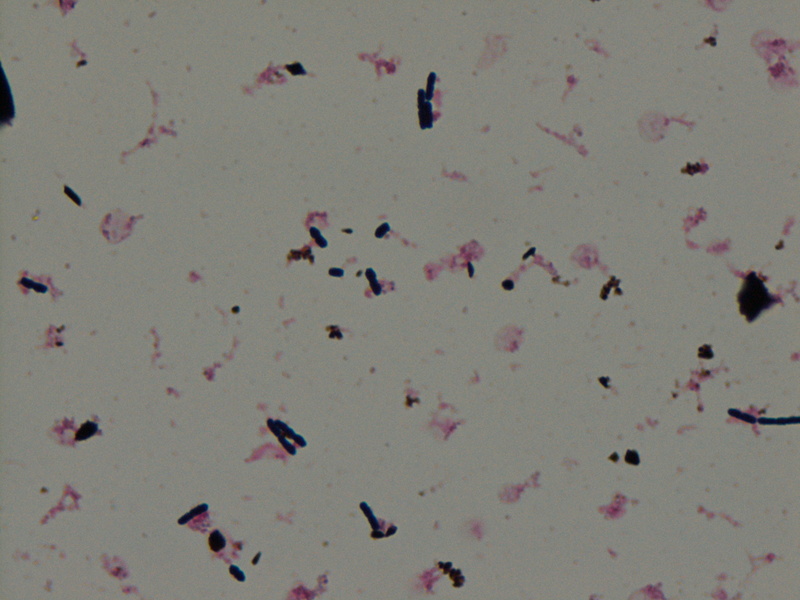 Large Gram-positive boxcar shaped bacilli. Schaedler plate showing double zone of beta hemolysis. Opacification of egg yolk agar around bacterial colonies. Clostridium perfringens was suspected due to the presence of large gram-positive boxcar shaped bacteria on the gram stain and obligate anaerobic growth with a double zone of hemolysis on the Schaedler plate. Opacification of the egg yolk agar demonstrated that the organism was lecithinase positive which is another characteristic of C. perfringens. Identification of the organism was confirmed by mass spectrometry. 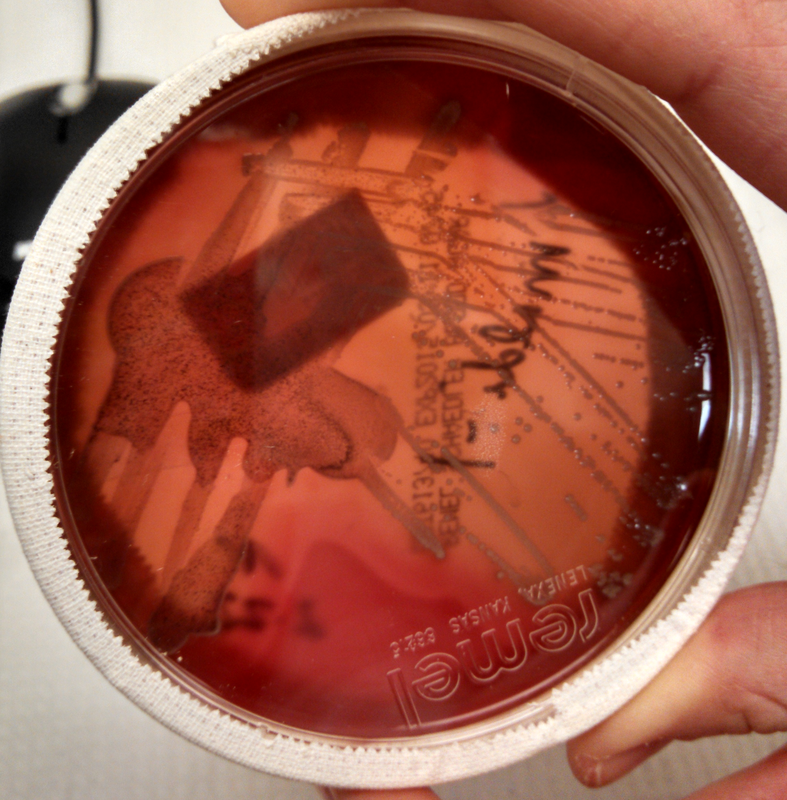 Clostridium perfringens grows on the anaerobic blood agar plate as small gray to gray-yellow colonies with a glossy, dome- shaped appearance with a double zone of beta hemolysis. The organism is an obligate anaerobe and therefore the aerotolerance test is negative. Its biochemical characteristics including the following: lecithinase positive, lipase negative, and catalase negative. 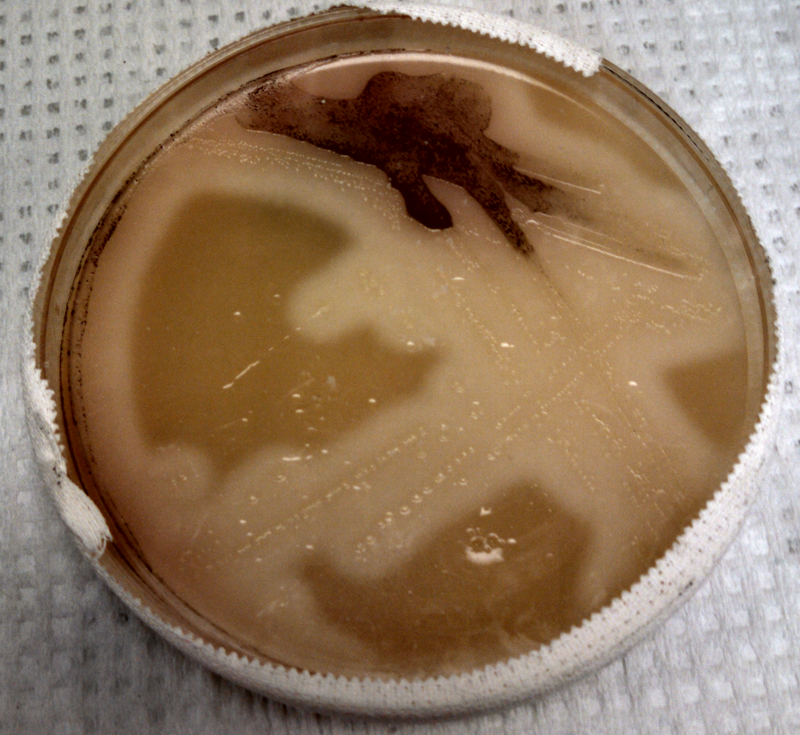 C. perfringens is encountered in a number of clinical settings including wound infections, gas gangrene, bacteremia, septicemia, and food borne illness. The organism has a number of virulence factors including exotoxins and an enterotoxin. Although there are reports of resistance, penicillin is still recommended therapy in many cases. C. perfringens is found in the biliary system and is associated with gangrenous cholecystitis.